When you first saw the name of this bowl you probably first wondered what a 6 cupper was. It simply means that it holds 6 cups measured to the brim! Cottonwood is a soft wood that is also a bit on the fibrous side. All that means is that sometimes it is very difficult to get a totally smooth sanded surface over the entire bowl. To me that just adds a bit to the rustic appeal that I do try to preserve in each piece I turn. The grain patterns in cottonwood are subtle yet very nice. The natural coloration of this wood varies so much. You have a light tan mixed with a medium shade of brown and even some gray. The wood was sealed with food grade walnut oil and then it received another two coats. Then it was finished with a walnut oil based wax. Using this combination gives the bowl a nice hard long lasting natural finish. This type of finish also lets you feel the grain in the wood. 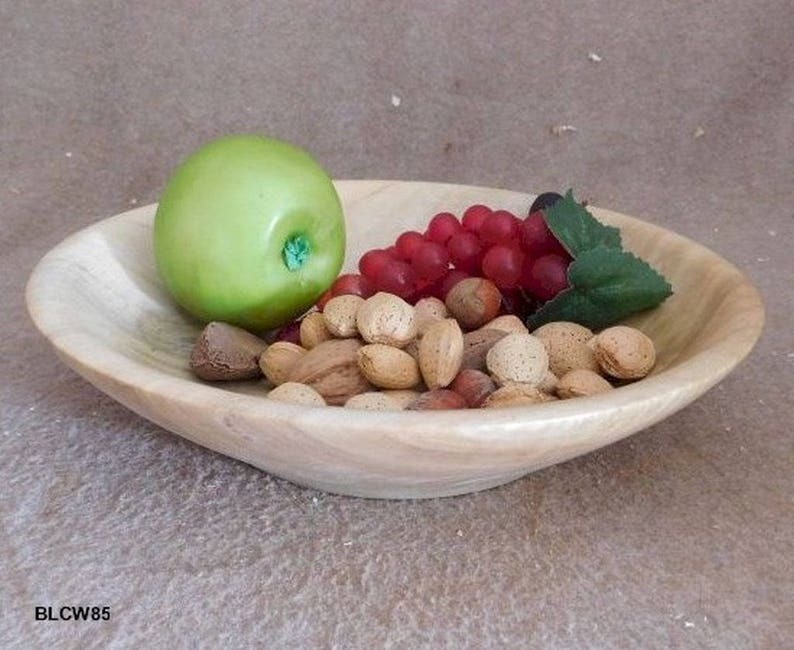 The bowl is 10 ½” in diameter, 2 ½” high, and 1 ¾” deep. A great bowl for salads and veggies. You might even use it as a popcorn bowl. 14Nov17 BLCW85 Free shipping within Continental US only.